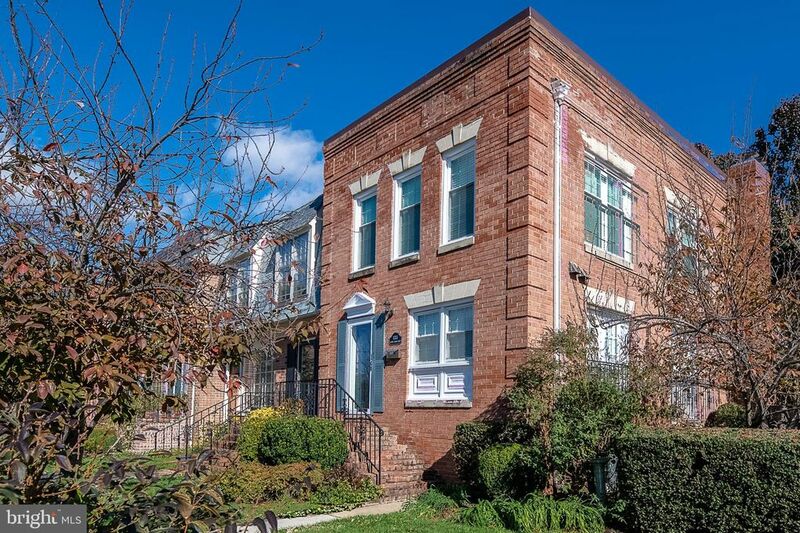 Get the best of both worlds while living in this peaceful Kenton Square end-unit home while still only being minutes from DC, Pentagon City, the site of Amazon HQ2, and Washington National Airport. Come see for yourself why the home has a high walking score! There is easy access to multiple bus routes, wonderful dining options, parks, and much more. Walter Reed Community Center is nearby which offers tennis courts, basketball courts, a game room, gym, multipurpose rooms, paths, and a beautiful garden. There is bound to be something for everyone~even take advantage of the bikeshare program! The first thing to catch your eye when you enter the home will be the stunning hardwood floors throughout the main level. The home has smart features such as a Nest thermostat, Ring doorbell camera, and security system. You~ll be more excited than ever to cook food in this open gourmet kitchen with stainless steel appliances, granite counters, a custom tile backsplash, pantry, wall oven, cooktop, large island, AND French doors letting in tons of sunlight. The dining room is complete with a second set of French doors and designer crown molding~your friends and family will never want to leave! Spend quality time in the living room, and enjoy the cozy wood-burning fireplace in the cooler months. Head upstairs to three bedrooms all featuring plush carpet and large windows, a great space to unwind after a long day. The attached master bathroom features double vanities and a walk-in shower. The fully-finished lower level is complete with a large family room with a second fireplace (movie nights just got better! ), wet bar, new flooring, custom built-in shelving, a full bath, large laundry room, fourth bedroom. It also provides access to the sunny and landscaped, fully-fenced, private patio/backyard area - a great space to relax and make memories. Check out the new roof! .090 mil EPDM Roof with workmanship guaranteed for 10 years.